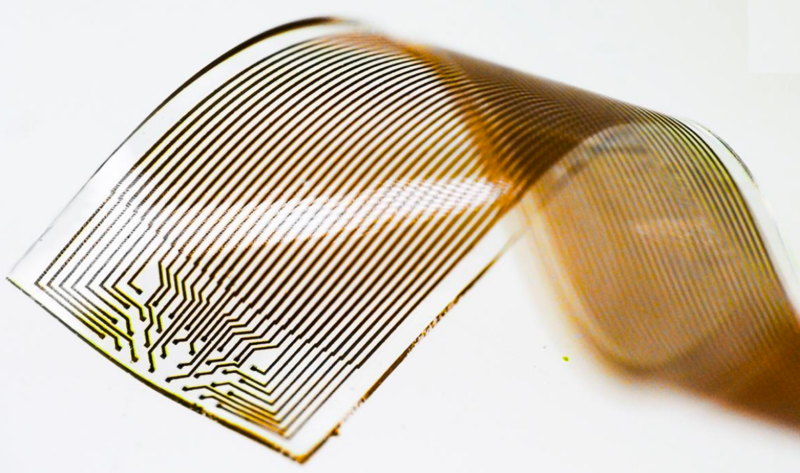 Neuroscientists at the Neuronano Research Centre at Lund University in Sweden have developed and tested an ambitious new design for processing and storing the massive amounts of data expected from future implantable brain machine interfaces (BMIs) and brain-computer interfaces (BCIs). “A considerable benefit of this architecture and data format is that it doesn’t require further translation, as the brain’s [spiking] signals are translated directly into bitcode,” making it available for computer processing and dramatically increasing the processing speed and database storage capacity. “This means a considerable advantage in all communication between the brain and computers, not the least regarding clinical applications,” says Bengt Ljungquist, lead author of the study and doctoral student at Lund University. Future BMI/BCI systems. Current neural-data acquisition systems are typically limited to 512 or 1024 channels and the data is not easily converted into a form that can be processed and stored on PCs and other computer systems. “The demands on hardware and software used in the context of BMI/BCI are already high, as recent studies have used recordings of up to 1792 channels for a single subject,” the researchers note in an open-access paper published in the journal Neuroinformatics. Abstract of A Bit-Encoding Based New Data Structure for Time and Memory Efficient Handling of Spike Times in an Electrophysiological Setup. Recent neuroscientific and technical developments of brain machine interfaces have put increasing demands on neuroinformatic databases and data handling software, especially when managing data in real time from large numbers of neurons. Extrapolating these developments we here set out to construct a scalable software architecture that would enable near-future massive parallel recording, organization and analysis of neurophysiological data on a standard computer. 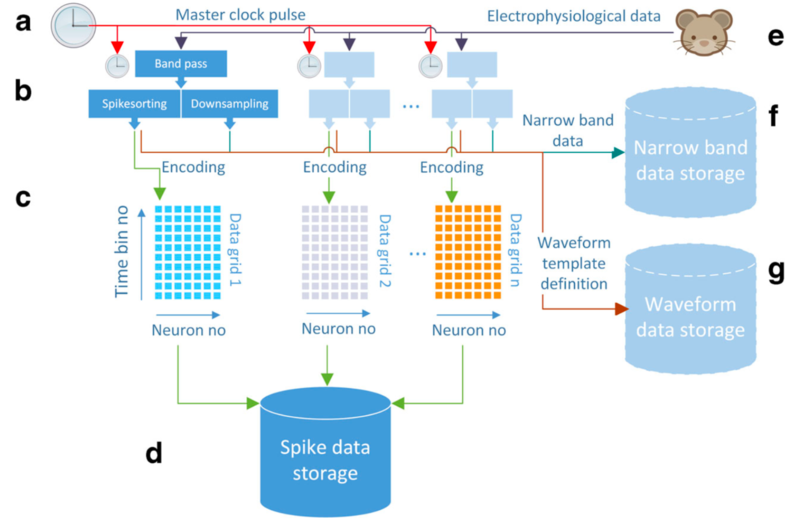 To this end we combined, for the first time in the present context, bit-encoding of spike data with a specific communication format for real time transfer and storage of neuronal data, synchronized by a common time base across all unit sources. 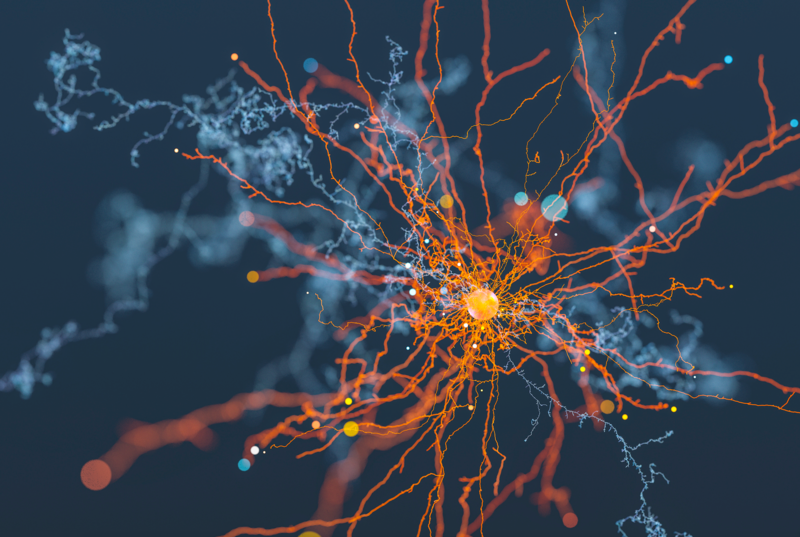 We demonstrate that our architecture can simultaneously handle data from more than one million neurons and provide, in real time (< 25 ms), feedback based on analysis of previously recorded data. In addition to managing recordings from very large numbers of neurons in real time, it also has the capacity to handle the extensive periods of recording time necessary in certain scientific and clinical applications. Furthermore, the bit-encoding proposed has the additional advantage of allowing an extremely fast analysis of spatiotemporal spike patterns in a large number of neurons. Thus, we conclude that this architecture is well suited to support current and near-future Brain Machine Interface requirements.